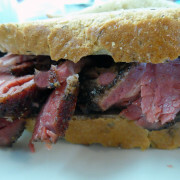 All-too-often restaurants claim to have “the best” blah blah blah in the world, but sometimes there is a restaurant that makes no claim to have the best of anything and lets the customers tell the good news. 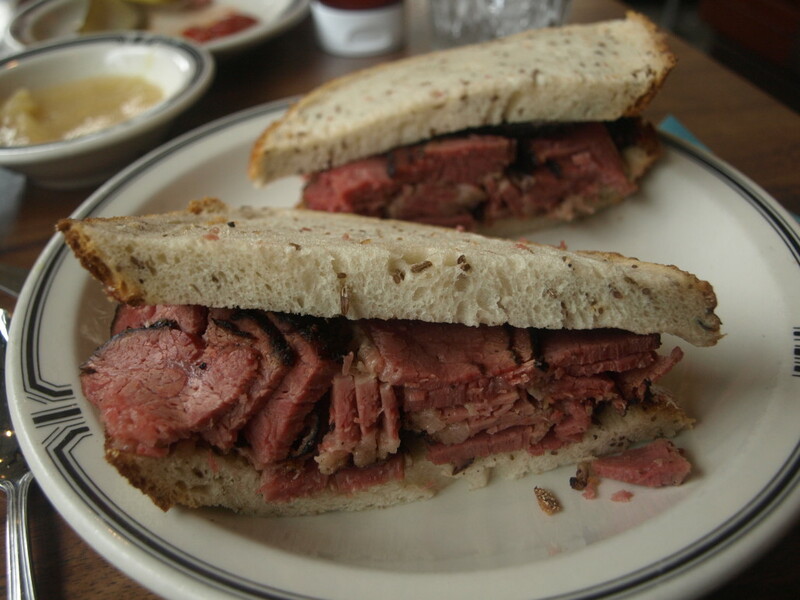 Langer’s Deli is one of the latter. 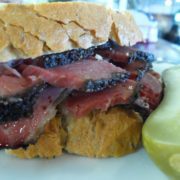 Located in the not-so-posh neighborhood of MacArthur Park, Langer’s has become known for their pastrami. 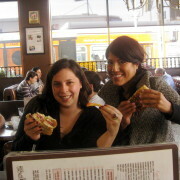 Many who have tried it have claimed it is the best ever, so to do the unvegan world a favor, I had to try it out myself. 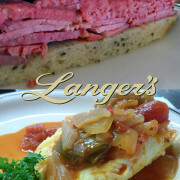 Wow, Langer’s was awesome. 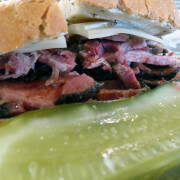 I had some pretty high expectations and this deli more than met them. 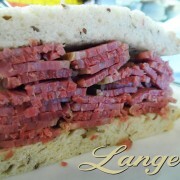 Langer’s Deli is now the barometer by which I shall judge all Jewish-style pastrami sandwiches.